Security guard neutralizes attacker who attempted to stab him. 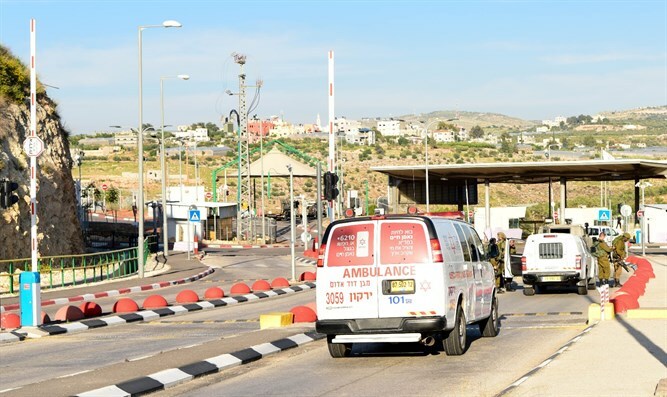 A Palestinian Arab attempted to stab a security guard at the Te'enim crossing near the Jewish community of Avnei Hefetz in Samaria Monday afternoon. The security guard shot and neutralized the attacker. An initial investigation revealed that the security guards operating at the crossing saw the terrorist running towards them and issued warnings to him. When he failed to comply with their calls to stop one of the guards shot and wounded the terrorist. IDF forces are at the scene.